Fun and fresh. Ibis Kitchen focuses on local seasonal foods. Visit out extensive buffet breakfast or enjoy a share plate over lunch. For dinner ibis Kitchen offers and extensive a la carte menu in a modern and friendly atmosphere. Enjoyed happy hour and a nice meal of barramundi, chips and salad. Service was quick and friendly. Great food and fabulous service. We enjoyed the food and the service was excellent. Great butter chicken. Good chicken Parma. Casual restaurant. 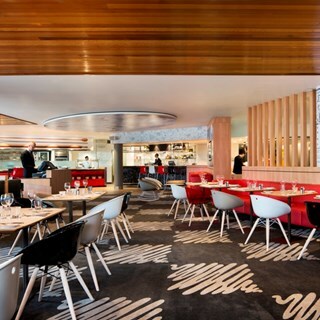 Nowadays we expect the food served at Ibis Hotel restaurants to be better than some more upmarket hotels. The Ibis Kitchen doesn't disappoint. Our mains were really good. The Confit Salmon and the Chamomile Tea Smoked Lamb Rump were delicious, so too were our desserts, Pumpkin Pie and Date & Vanilla Cashew Milk Panna Cotta. Our Entrees were a little hit and miss though. The Beef Skewers were a little bland, however the Aranchini Bolognaise was perfect. Service was a little slow as the restaurant was busy, but we weren't in a hurry so that worked out ok. If you are in the area at dinner time, i'd recommend you drop in and enjoy a meal at Ibis Kitchen. We had our team lunch here and the pre-ordering was such a time saver. All the lunch specials were a good portion and really well priced. Staff were really friendly and patient especially when were trying to pay with a voucher. The food was unexpectedly fabulous and the staff super friendly and helpful. I would definitely go back and would also recommend eating here without hesitation. The Ibis Kitchen served up some great accompaniments to our gin blending event, adding to an overall great experience on the day. The event was an Archie Rose Gin Making Class, sold to me as a Platinum Member of Accor. There was extremely litte substance to the Class, basically one Archie Rose staff member (woefully inadequate for 32 or so guests), ably assisted by Ibis staff. Had Ibis not supported the Archie Rose staff member, there would be no chance for her to help all the guests. 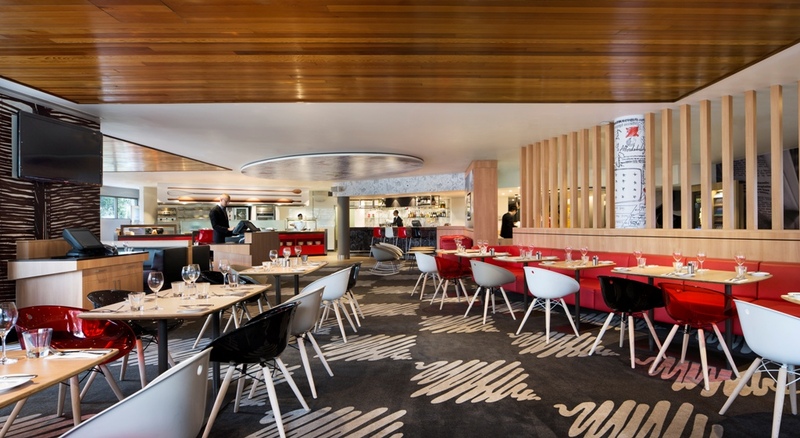 Archie Rose also missed the mark with next to no Branding at the event, which would have helped differentiate for guests, that you weren't simply in the Ibis' Breakfast room. I attended the Archie Rose Gin blending function which I think was fabulous. It was a brilliant idea for the hotel to hold this function.. I thought the staff were attentive and the food was delicious. I would totally recommend it for a small corporate function or for a meal if you are in the area. Overall Good Experience. Food Quality however was down on previous experiences. We had a Large Group of 22 People. Food Service was well prepared and Fast. We coordinated and fast service. Was Great to see not only the Restaurant Staff but the Hotel GM and F&B managers all out to make our experience Great! Orders were taken and delivered to the Table by the Chef himself. Wonderful and engaging chap. Great All round restaurant. A regular for us. Very challenging to get here by car, missed the car park entry twice, and can only get in if travelling North, also need to pay for parking. A little bit more noisy than expected. Food and service was great though. Close to airport, very convenient. Food was nice, very accommodating to our needs. Very Happy another Great experience. This is why I keep coming back.